THERE ARE TWO scholarly opinions as to how much of the Quran the Prophet explained. Allah’s saying: Thus to you, O Prophet, We have sent down the Quran as a final reminder of God’s way, so that you make clear to all people the word of God that has come down to them, and so that they may reflect on it and be guided [Sûrat Al-Naḥl, 16:44]. The report transmitted on the authority of Abû ʿAbd Al-Raḥmân Al-Sulami who said: Our Quran teachers from among the Companions—like ʿUthmân ibn ʿAffân, and ʿAbdullâh ibn Masʿûd—told us that they would take 10 âyat of the Quran at a time and study them thoroughly, extracting the ʿilm and legal injunctions couched in them, then move to the next 10 âyât. This approach, they added, enabled us to understand the meanings of the Quran and observe its legal dictates. If it is not conceivable that a people will read a book, any book, without understanding its meanings, then what about the Quran, the Book of God on which people’s salvation in the hereafter and their success in this world depend!? There is a report narrated by Imam Aḥmad to the effect that the Prophet died before explaining the meaning of the âyah on riba (usury). This, they argue, indicates that the Prophet was in the habit of explaining the meanings of the Quran. The report from Abû ʿAbd Al-Raḥman Al-Sulami does not attest to the opponent’s claim. For it doesn’t tell us how much time it took those Companions to memorize the 10 âyât. Besides, those Companions, being intimately acquainted with the Arabic language—they were native speakers of Arabic language at a time when the Arabs’ command of their native language had not yet slackened—could make out, unaided, the sense of much of the âyât of the Quran. Other scholars, like Sûyûṭi, maintained that the Prophet did not explain the meanings of all the âyât of the Quran. Rather, he interpreted only some few âyât. 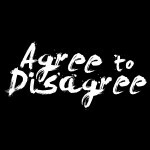 The following are some of the arguments advanced by this group in support of their opinion. The idea that the Prophet’s had elucidated the meanings of the âyât of the entire Quran is unfeasible. The ḥadîth they argued from (on the authority of Âishah) was declared by Ḥadîth experts (muḥadîthun, ‘traditionists’) as both munkar–literally this term means ‘denounced’; technically ‘munkar’ refers to a ḥadîth reported by a weak narrator–and gharîb (a ḥadîth conveyed through a solitary chain of narrators), because it was transmitted by Muhammad ibn Jaʿfar Al-Zubayri, a ḥadîth narrator with an impugned integrity. It is untenable to assert that the Prophet’s interpretation of some of the âyât of the Quran is possible while also maintaining that his explanation of the entire Quran is impracticable. The third proof—even if, for argument’s sake, taken as indicative of the Prophet’s expounding of the meanings of the entire Quran—it may not be considered as evidence that the Prophet had explained the meanings of only some few âyât of the Quran. 4) a tafsîr only Allah knows. Judging by the foregoing statement of Ibn ʿAbbâs, one can say that the Prophet did not tell his Companions about the meanings of the Quranic âyât whose denotations can be understood by Arabic language speakers –#1. They themselves were all Arabic-speakers and would not need such explanation. Also, the Prophet did not explicate the meanings of the âyât whose significances are so self-evident that everyone should know them (no Muslim can have an excuse for not knowing the meanings of these âyât)—#3. 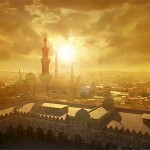 Muslims of his time lived in the Prophet’s community and knew by experience what they needed to know. Needless to say that the Prophet did not tell his Companions about the meanings of the âyât touching on matters whose knowledge is the exclusive preserve of Allah, such as the âyât that talk about the exact timing of the Hour of Judgment (Al-Sâʿah)–#4. However, the Prophet was able to elaborate on the meanings of some âyât that treated of some matters that belong in the realm of the unseen (ʿâlam al-ghayb). The Prophet also explained to his Companions much of the âyât that are subsumed under Category #2 of Ibn ʿAbbâs—the âyât whose meanings are known only to scholars who employ ijtihâd to perform the following interpretive tasks: bayân al-mujmal (providing detail for the abridged statements); takhṣîṣ al-ʿâm (specifying the general); taqyîd al-muṭlaq (qualifying the absolute); tawḍîḥ al-mushkil (clarifying the complicated by sorting out its components); etc. It is because of the Prophet teaching certain leaders-to-be, that this knowledge has come down to us. The extensive body of commentary—available to Arabic-proficient, trained scholars—answers many questions raised in the minds of those who would today seriously read and ponder the Quran. These works have discussed and re-discussed the foundational issues, often in depth, that the Muslim community needs be concerned with.